Italians have always identified red with passion. While red sports cars are likely the most obvious example and synonymous when it comes to driving and motor racing passion, there is also the P Zero Rosso (ro’ so, Italian for red). 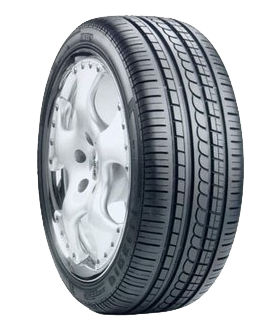 These Pirelli tyres are developed to combine high performance, high speed and a high degree of comfort. The Asimmetrico retains the “Zero concept” tread pattern of earlier P Zero tires by combining a semi-slick center rib that enhances driving precision while accelerating and braking with robust outer shoulder and intermediate tread blocks that are connected by circumferential “multi-ring” ribs to enhance dry grip. The asymmetric pattern designed with compact external area also improves lateral rigidity at high speeds. The independent blocks of the inner intermediate rib and inside shoulder are separated by wide grooves to allow for effective water expulsion, reduce hydroplaning and enhance wet grip. Considerable use has been made of curved grooves, which complement the circumferential grooves to reduce noise. 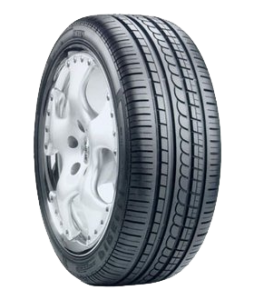 Provides better grip in low temperatures in the wet and lower rolling resistance in the dry. The tread is supported by PenTec (a material developed by Allied Signal for space exploration) cord which is used to reinforce lightweight steel belts and give more high-speed stability while decreasing tire weight.